English Press consists of a team of about 500 personnel who are committed to delivering the highest standards of service. Our work ethic is founded on collaborative partnerships with publishers, clients and suppliers to provide efficient and effective print solutions. 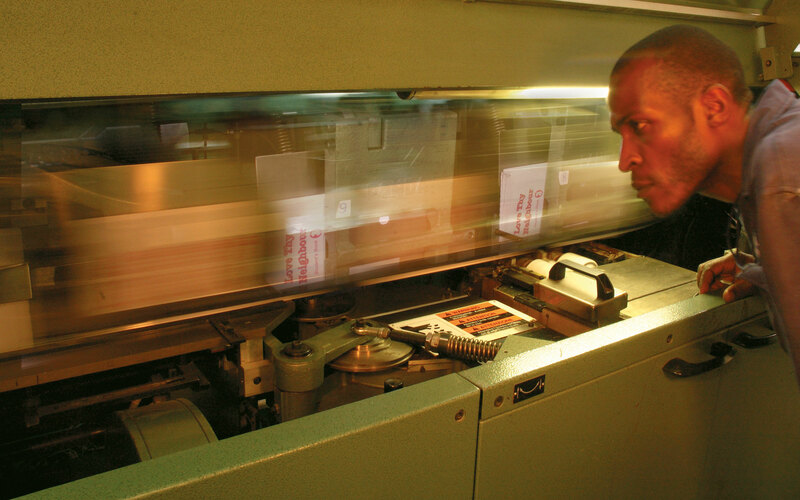 Experienced technicians in production, maintenance, IT and quality assurance ensure that English Press is setting the benchmark in the industry with state-of-the-art equipment and technique for offset and digital printing. Our purchasing department handles all sourcing of local and imported consumables, offering competitive solutions to the market. Our vision is to become a world class print company in Africa and play a major role in print technology and excellence. English Press embodies the ambitions of up and coming Africa. Our mission is to provide our customers with superior quality products and services on both the local and international markets through competitive pricing, state of the art facilities, utilisation of modern print technology, technical expertise to ensure consistent quality whilst conducting our business with the highest integrity.